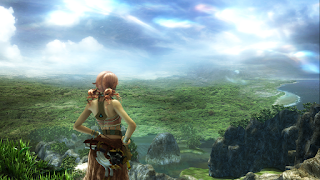 For my first entry into this series, I wanted to take a look at one of my favorite JRPG titles of all time, FINAL FANTASY XIII. 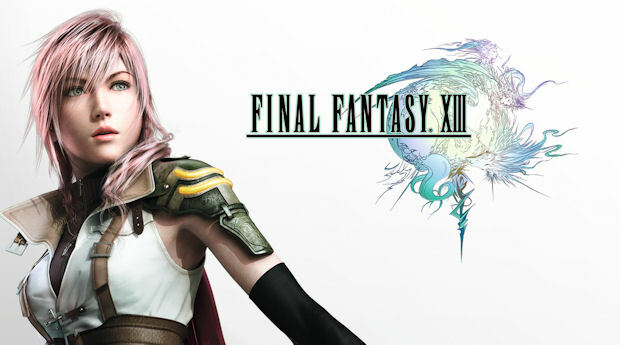 Released in the USA in march of 2010, XIII was (at the time) the first Final Fantasy game to enter the new HD era of console gaming. 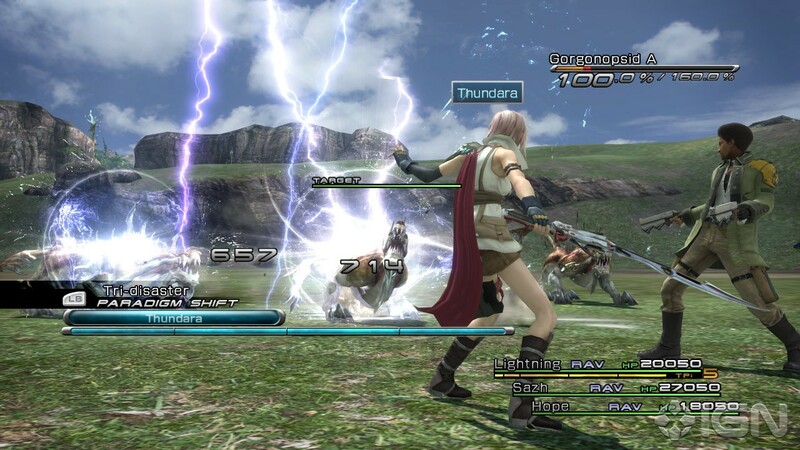 Compared to previous Final Fantasy entries it had a somewhat unique ATB, or automated battle system, as well as high definition graphics. To begin, I would like to make you aware that this article is 100% my opinion, so you may agree or disagree. I would also like to hear what everyone has to say about the game so please comment with your opinion(s). 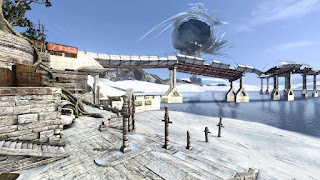 It seems that, at least in the Final Fantasy fan community, that there is a lot of animosity about Final Fantasy XIII. There is a lot of criticism about the game for several different reasons, and I will address a few along the way. I want to start with why I love the game. For the most part when someone enjoys a game they either like the story or game-play, and as you will find out I enjoy a game mostly for the story. In my opinion, XIII has an amazing story. The plot begins in the world of Cocoon, a floating city above the world of Grand Pulse. In the story there are beings called Fal'cie, which are basically Demi-Gods who are feuding with each other. On one side you have the Sanctum Fal'cie who protect and provide for Cocoon and its citizens, and on the other you have the Pulse Fal'cie who thrive on the planet of Grand Pulse. These god-like entities use humans to do their bidding by turning them into L'Cie and give them a focus they must complete. The story begins during the purge, a mass exodus event that occurs because a pulse Fal'Cie found its way to Cocoon and "tainted" many people. 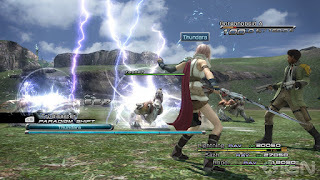 Lightning, the main character, finds herself caught up in the Purge while looking for her sister, Serah. Being a Final Fantasy fan, I think they did a really good job with the story and environment, however it seems that it was too good of a job. The story was very detailed and provided a lot of character development, at least for the main characters. I believe that because of this, some people didn't like it. Your probably thinking, but if the story is super good, why would people hate it? well the reason is because the story was so detailed that it wasn't explained very well in game-play, you had to do a little digging and read the in game data log. If your a super nerd like me you could also lookup the lore of the universe online. All in all those things aren't necessary to have a good experience with the game and story, but it does fill in those blanks that may arise due to the fast paced story line in the beginning of the game. Again, I enjoyed it because I love the story and I love that it pushed me to be engaged with it on another level other than just watching the cut scenes. Although story is my big guilty pleasure in games the game play and systems of the game have to be bearable, and that is what Final Fantasy XIII's game play is, bearable. Now yes, it is still one of my favorite games that I have ever played, however the battle system was a bit automatic. Now of course the first word in the ATB system is automated, but it was super button mashy. With enough grinding here and there you could literally press X the entire game during battle and beat the game. The battle system itself didn't really get intricate until the last few levels of the game, and some select boss battles. 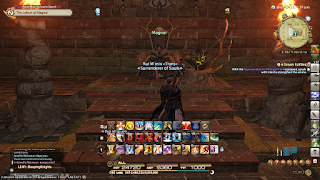 The good thing about this is that you could still choose not to use the auto battle feature, so you as a player could choose the immersion level when it comes to battle. Honestly for me however, having finished multiple play troughs, It feels like a really pretty skin for a turned based system. All in all I really enjoyed this game, and I think if your a little patient and give it a shot, even the most pessimistic Final Fantasy fan could come to love XIII. I give Final Fantasy XIII 8.5/10 Kupo's! If you have something to add, or just want to comment on the things I have said, feel free to let me know!